As the crossover segment heats up with growing sales across America, Lexus, an innovator for luxury crossovers, gets into the compact utility game with the new NX. 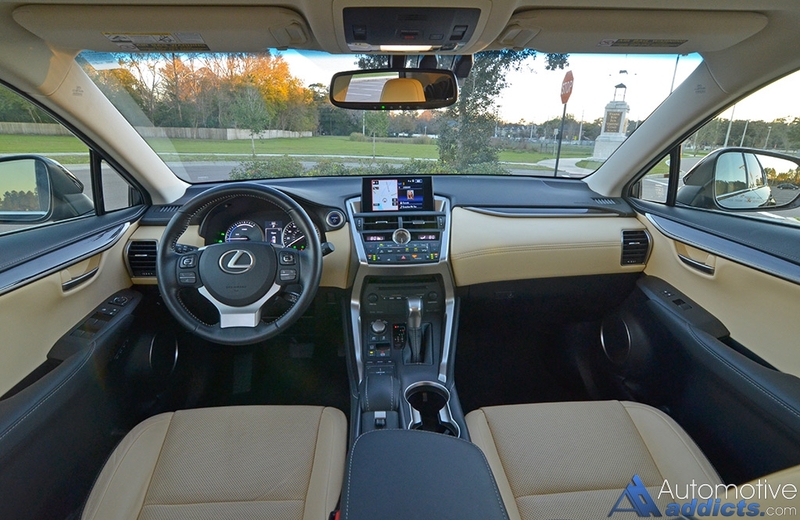 In its second year of production, the new 2016 Lexus NX remains unchanged continuing offer many expected quality traits wrapped in a luxurious package with the availability of many amenities and desired options. While the new Lexus NX is offered in three trim levels, the 300h hybrid places remarkable fuel efficiency at the forefront with a combined EPA estimate of 33 mpg. 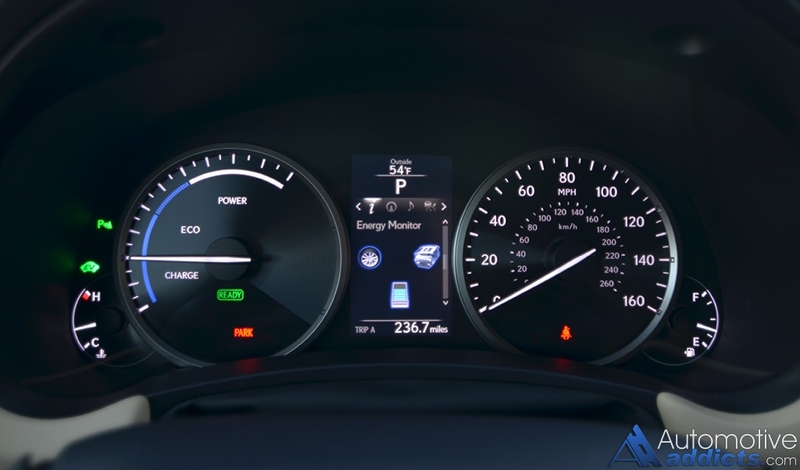 During my time with the NX 300h I walked away getting an average of about 32 mpg with equally mixed highway and city driving. The 35 mpg city and 31 mpg highway estimates are easily attainable as I found myself beating the city mileage in several occasions getting as much as 36 mpg in steadily-moving heavy inner-city traffic. 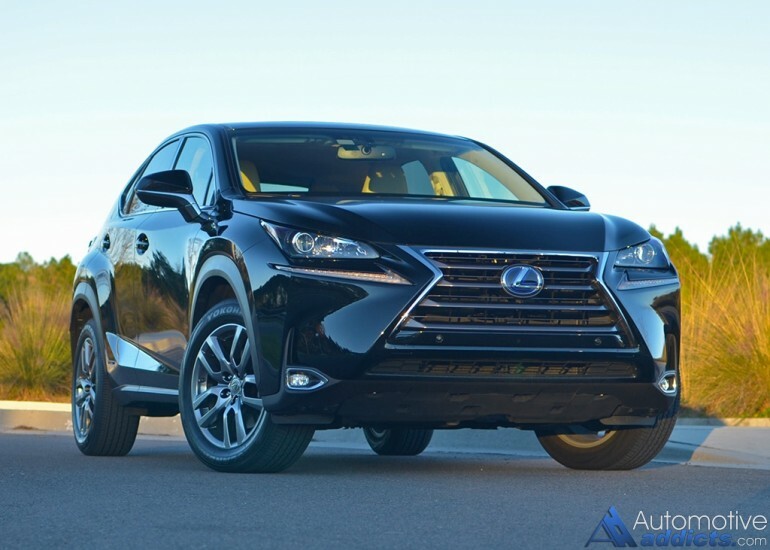 Revisiting the Lexus NX 300h reminds us of why Lexus continues to be a leader for mainstream crossovers. Now, the smaller variety that the NX embellishes upon the masses is unique in its design yet unmistakable for a Lexus in more ways than one, which is a good thing. 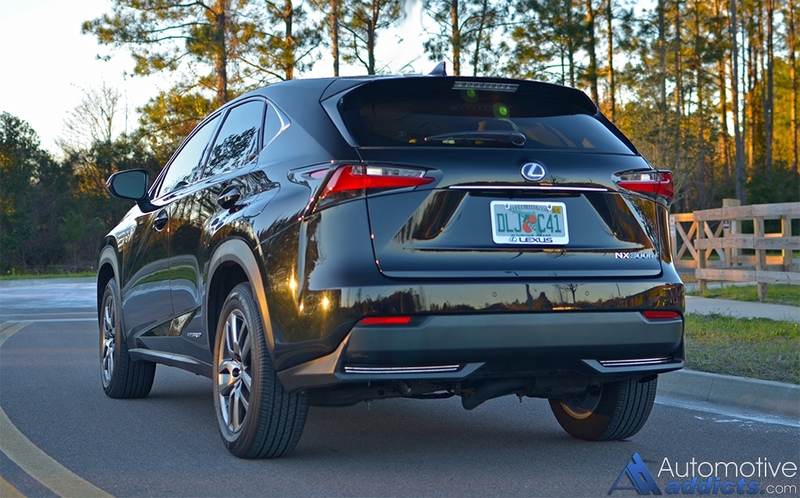 Driving the 2016 Lexus NX 300h in its front wheel drive setup and near-fully loaded options list was in agreement with what I expected from the small crossover. 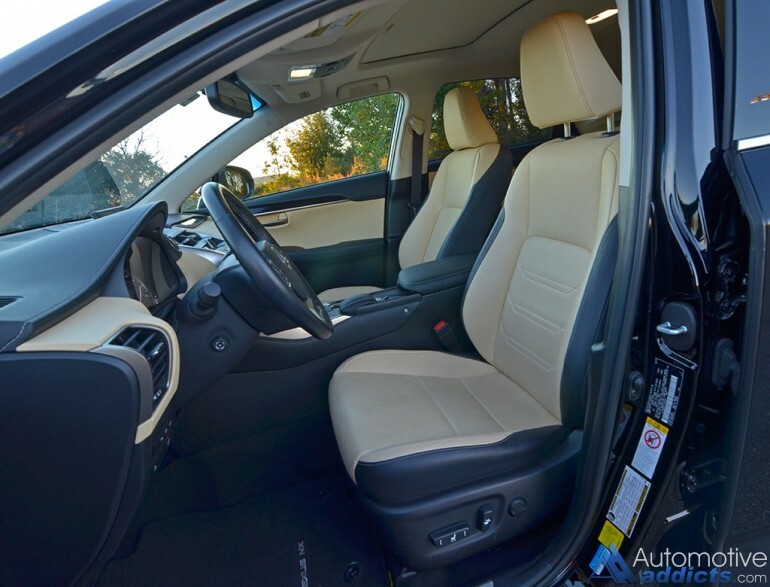 The fit and finish of the cabin is remarkable as it’s the durable feel of the nicely planted chassis. The rear seats proved to be rather spacious for a small-form factor crossover while the exceptional fuel economy was consistent in keeping me from visiting the gas pump. One of the areas that continually disappointed my otherwise good overall perception of the NX 300h hybrid was its lackluster acceleration reaching 60 mph in about 9 seconds. The NX hybrid, while confident once things get rolling, was somewhat of a mixed bag when accelerating from a dead stop. The NX hybrid poked along in somewhat of a despair sometimes requiring me to plan out my next move in overtaking a vehicle from the stoplight. However, traveling at speed the NX hybrid then becomes assuring in the way it handles itself. 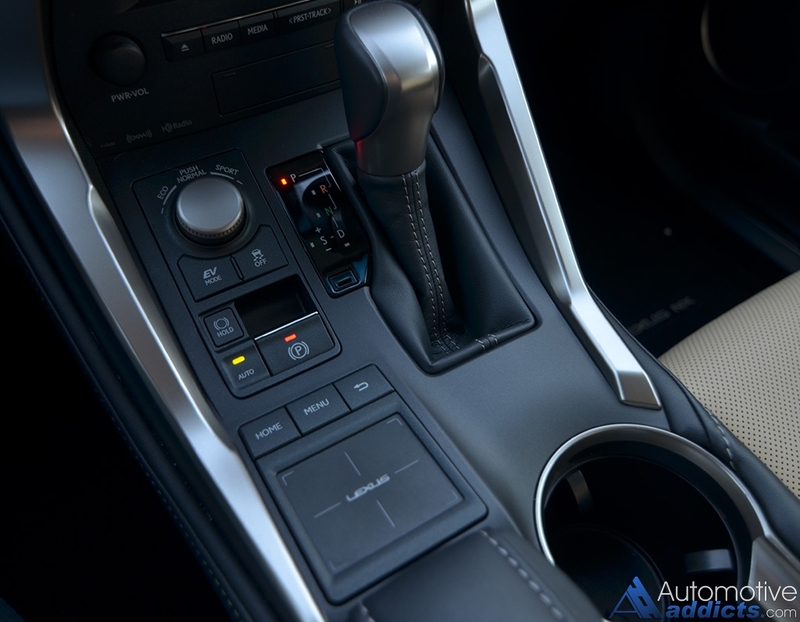 The CVT (Continuously Variable Transmission) smoothly transitions power throughout the engine’s power band but does tend to sap overall acceleration. The occasional front wheel spin coming out of turns from a stop in my front-wheel-drive-configured NX hybrid test vehicle was an added annoyance that may be rectified when opting for the all-wheel-drive NX 300h. With Toyota and Lexus being the pioneers of hybrid technology and implementation, the remarkable ingenuity shines brightly in the NX 300h. The transitions from electric motor power to engine power are always a seamless act. The system responds quickly to all inputs and never disappoints. The total system power output of 194 horsepower is just enough to keep things safe despite the lack of punching acceleration out of the hole. 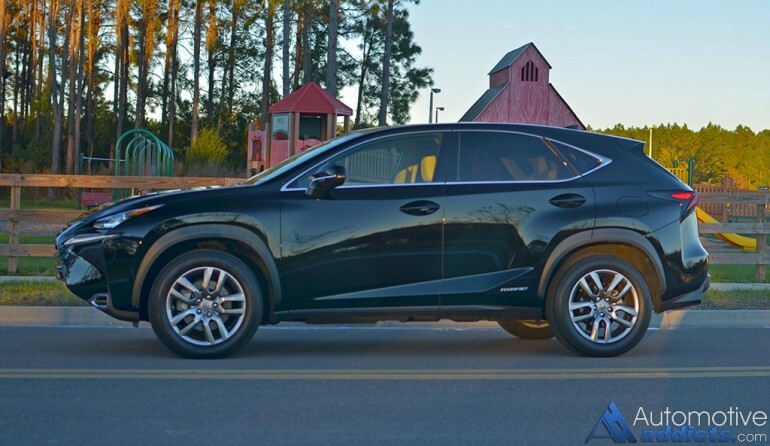 In my overall perception of the NX hybrid, it is well deserving of being a smart choice when it comes to the growing compact crossover segment that offers real luxury. 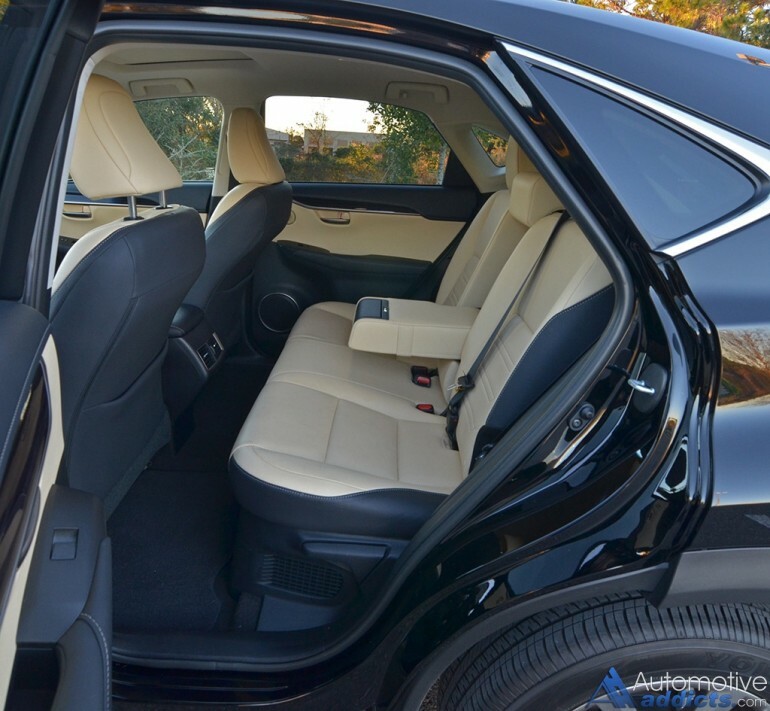 The many creature comforts coming as standard equipment, and my test vehicle’s long list of active safety features and luxury amenities, place it at the top of the heap for its class. 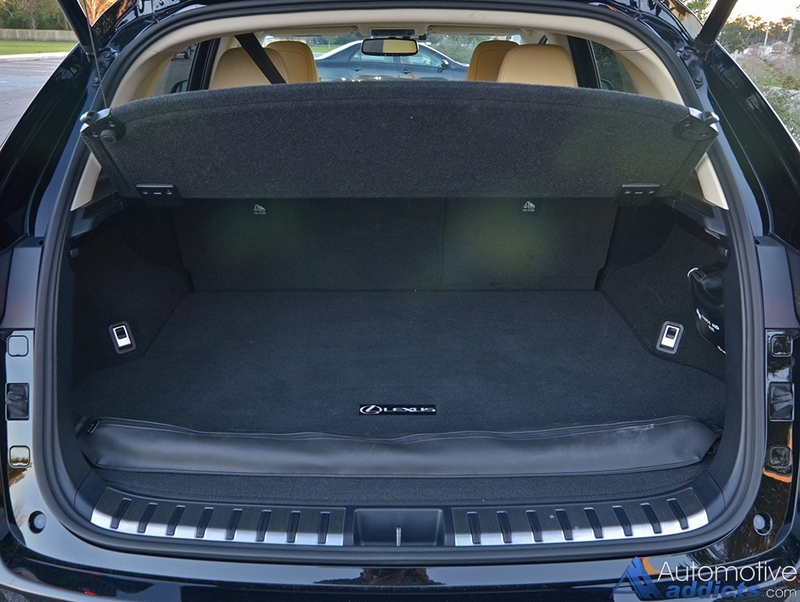 The only other caveat that stands out is the NX’s smallish cargo capacity allowing only 16.8 cubic feet with the rear 60/40-split seatbacks in place (53.8 cubic feet total with seats folded). Nevertheless, there must be some compromise in interior space, which is an expected characteristic of a small formed crossover. The pricing of the 2016 Lexus NX 300h starting at $39,720 is quite attractive. However, adding a long list of available features and option packages as equipped on my test vehicle, the price can quickly climb landing at a hard-to-swallow as-tested price of $49,733, which included just about every conceivable option on the list.